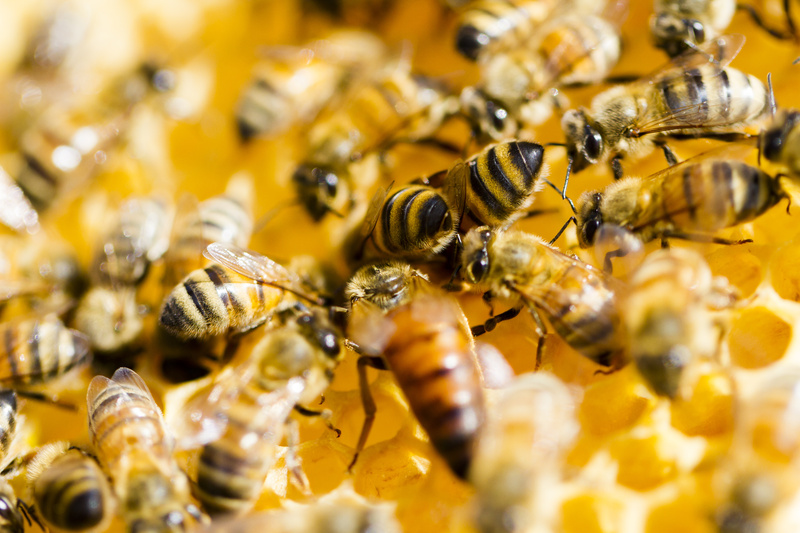 With populations of honeybees coming under duress from pests, disease, and pesticides, the U.S. Department of Agriculture (USDA) is working to build a gene bank for bees to store sperm and embryos and therefore preserve bee genetics for the future. One specific place where this is happening is the USDA labs in Fargo, North Dakota, where cryobiologists are researching and developing the incredibly complex process of “vitrifying” bee embryos. According to USDA cryobiologist Joe Rinehart, this is trickier than with humans or other domesticated animals because bee embryos are far more delicate. In regards to cryopreservation, it involves using freezing temperatures to bring embryos to a time stand-still, which are then stored in liquid nitrogen at temperatures as low as -300 degrees F. The embryos in these labs are no more than the size of a Times New Roman period at the end of a sentence. Biologist Arun Rajamohan has developed several techniques in the Fargo labs to preserve species of insects, ones as small and delicate as the bee embryo. Rajamohan dips the embryos in bleach or rubbing alcohol to remove their protective shell–that way another chemical can replace most of the water in the embryo. Water, when in its solid state, is “like a buzz saw,” and if there is ice inside a cell, the ice will “rip up that cell,” according to Rinehart. Once that process is finished, the embryos are cooled to around -250 degrees F and later stored at -300 degrees. “The water molecules…stop, and it’s glass” by Rajamohan’s words. The hope is that cryopreservation will allow bee embryos to store indefinitely as long as liquid nitrogen is available. However, bee embryos are a challenge for Fargo researchers, as timing is incredibly important to assure proper storage. Embryos must be stored exactly right, with the ideal time being a 40 minute window when the embryos are three days old. The window is so slim that Rajamohan built a robot to remove human error, which is in use in a government lab in Panama. If this gene bank becomes available, there’s a chance to preserve as many of the honeybees’ genetic lines as possible, which comes in handy now especially, given the issues hitting declining U.S. bee populations in recent years. Whether or not wild bee populations drop to unsustainable levels, a gene bank offers a safety net and can create new options for beekeepers, maybe even a catalogue of genetics from which to choose.